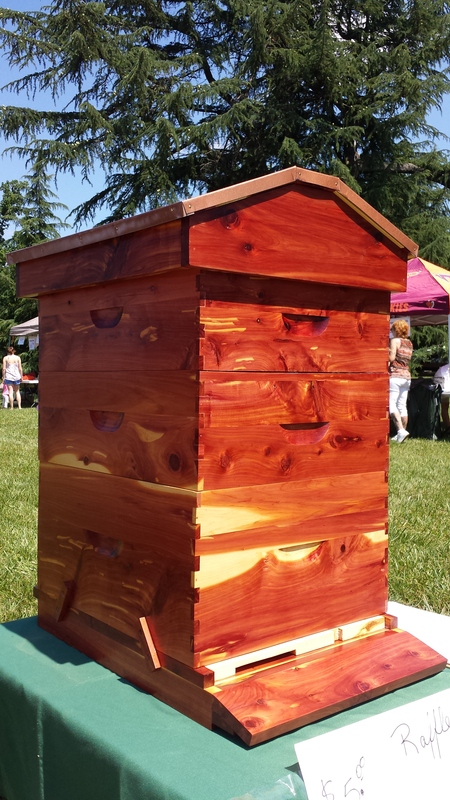 Rockwood Park Backyard Beekeepers Association (RPBBA) is raffling off this beautiful, custom-built cedar beehive at the State Fair on October 5, 2014. One of our very own members, Greg Abell, made it – a huge thank-you to him! TICKETS are only $5 each!!! 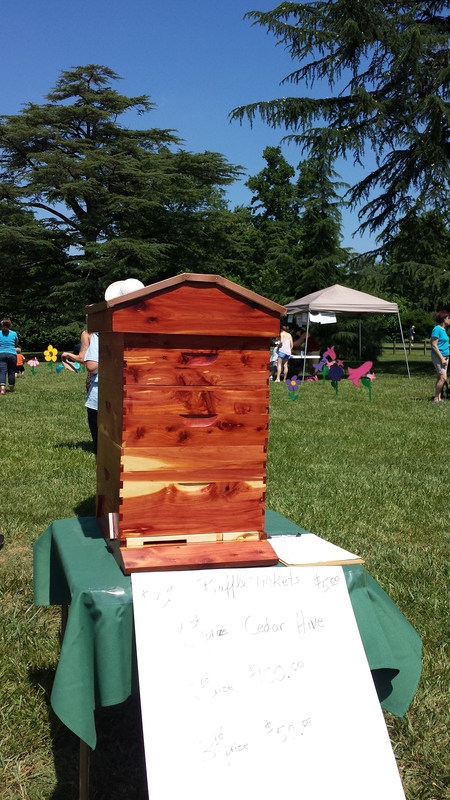 Full 10 frame hive. 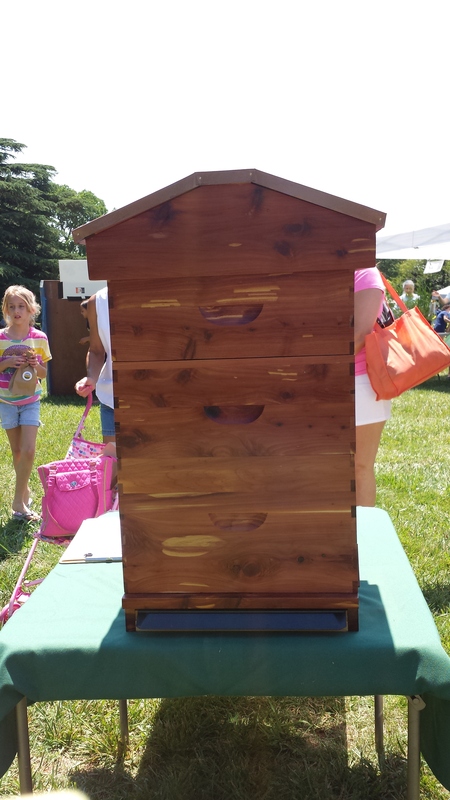 It has 1 deep super, 2 Medium Supers a screen bottom board with beetle trap and a garden roof. Raffle drawing will be on Oct. 5, 2014 at the State fair. Get your tickets in advance – come to any meeting, give us a call at 804-404-2339 or to request tickets by mail please complete this form (click here). This is an official RPBBA-sponsored ad.